Panorama of Ljubljana in winter. Slovenia, Europe. 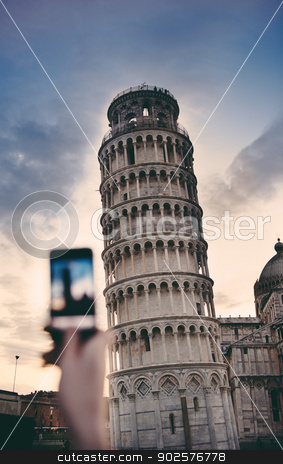 Tourist takes snapshots with smartphone digital camera of Pisa Tower at the entrance to Piazza dei Miracoli on a cold summer evening.